We build custom build, Galileo XML API integrated travel portals and travel agency websites! In 1971, United Airlines developed an automated central reservation system, a first for them, under the name Apollo. With American Airlines running a similar system called Sabre, it soon became apparent that they were dominating the industry at a time when air flights were rocketing upwards. In order to challenge them, and gain a better hold of market share where automated reservations were concerned, Galileo was one of the competitor systems introduced in 1987. The Galileo Global Distribution System or GDS as it is most commonly known within the industry, is widely used by travel personnel all over the world. It is a one-stop- of shop for anything travel related, including booking flights, trains, cruises, renting cars and hotel reservations. With a 22% worldwide market share on airline bookings reported in 2006, it undoubtedly has a significant presence in the market. 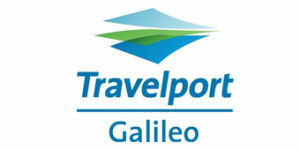 With the merger of several key travel operations over the years, Galileo was eventually bought over by Travelport, although the name only came about in August 2006. Travel Distribution Services which was Travelport’s predecessor and formed in 2001, was born on the purchase of Galileo International. The original name of the company that carried out the acquisition was Cendant Corporation, known globally today as Travelport. Travelport is currently one of the world’s leading travel content aggregators and distributors, with its head office based in Langley, Bekrshire. Their consistent support and unique solutions designed to inter-connect and enhance business opportunities across the globe ensures their dependability and dedication to customer service. Furthermore, partnership opportunities offer assistance with developing the necessary tools for tackling the ever-changing world of travel commerce. It also operates the Apollo and Worldspan global distribution systems.